We are so excited about the speakers for November! 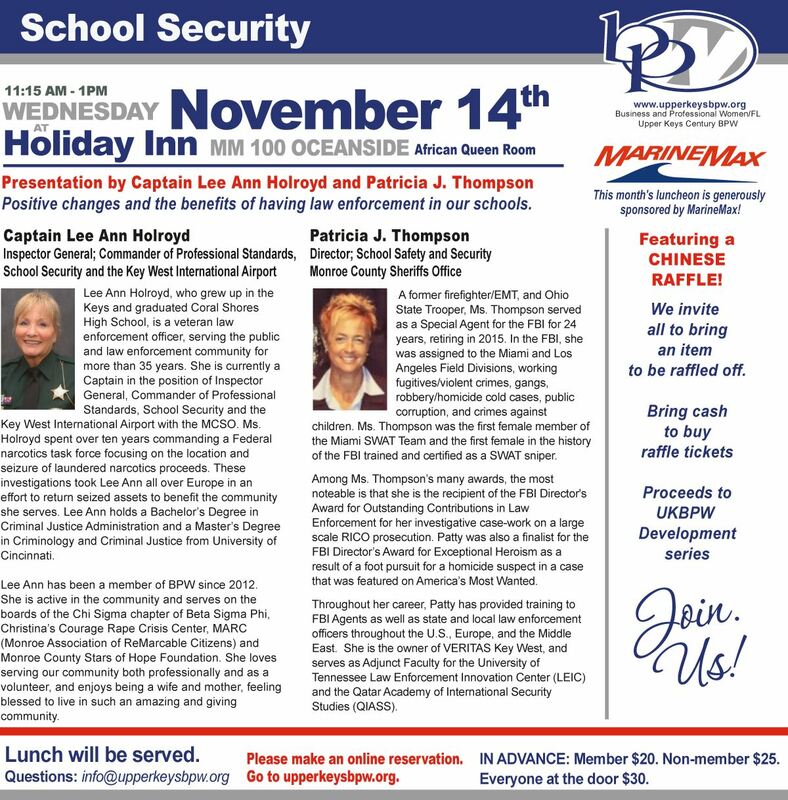 Captain Lee Ann Holroyd and Patricia J. Thompson will speak about School Security. Hearing from these 2 strong and accomplished women will be an honor and a treat! We're trying something new this month - a Chinese Raffle! Bring a new item to raffle, and plan to buy raffle tickets to bid on the item of your choice! Proceeds will benefit our Professional Development Series. Special thanks to this month's sponsor - MarineMax!